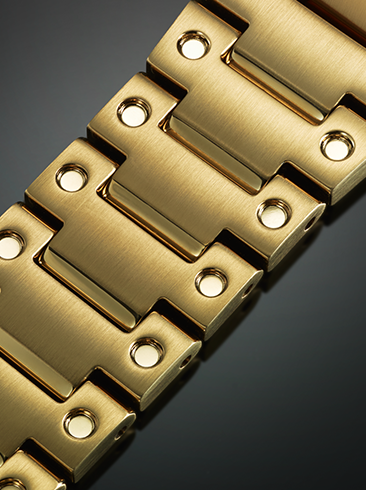 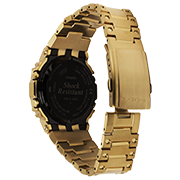 The Full Metal 5000 is a brand new, specially crafted all-metal timepiece. 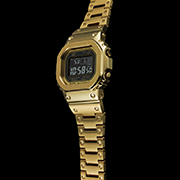 Inspired by the first G-SHOCK model, DW5000C, this upgraded original boasts a modern, lustrous, color way while maintaining a vintage aesthetic. 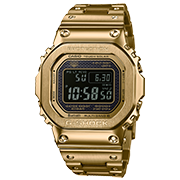 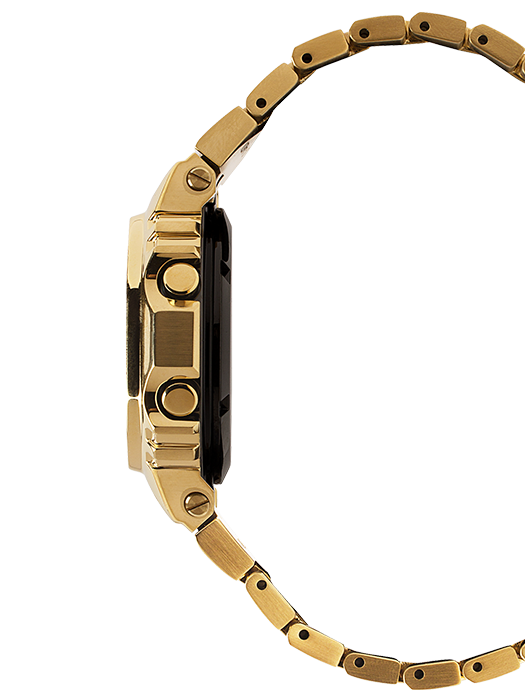 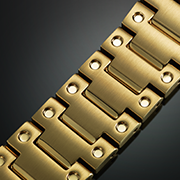 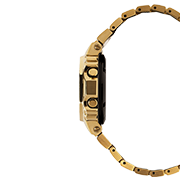 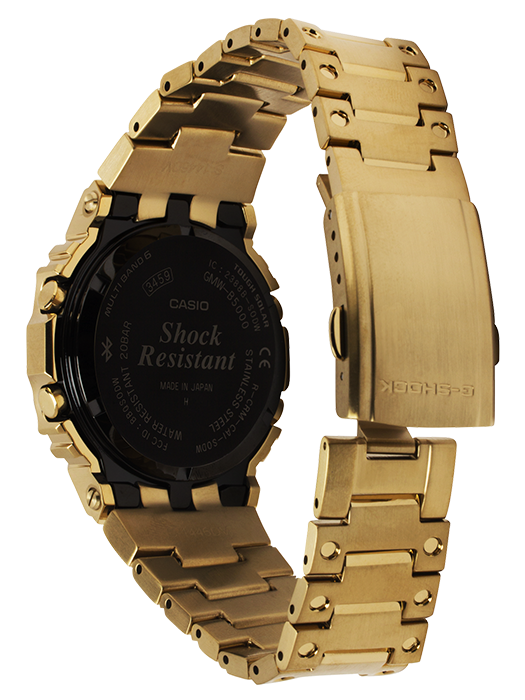 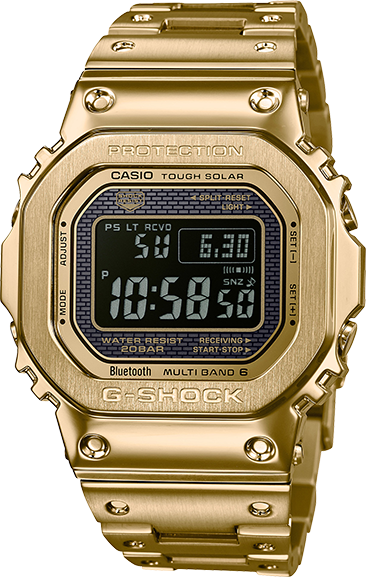 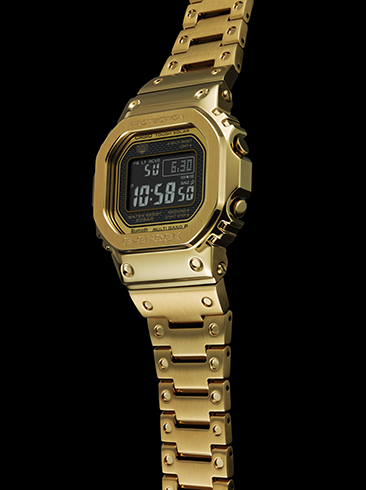 The watch also incorporates one of the first and most iconic G-SHOCK case designs, featuring a vintage, square shape case & bezel with a brick pattern on the face and gorgeous gold color accent. 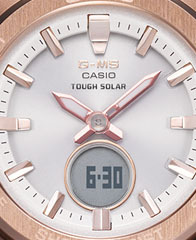 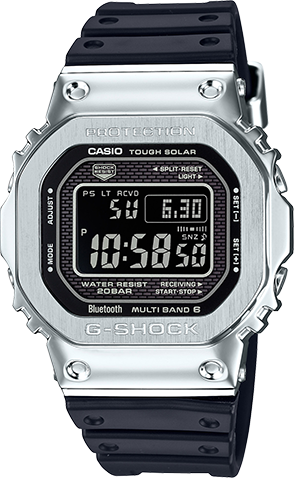 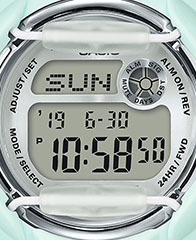 The GMWB5000GD-1 incorporates a super illuminator LED light and solar battery – rendering it capable of self-charging, as well as a special STN LCD. 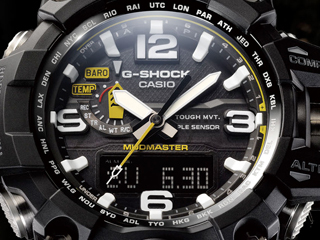 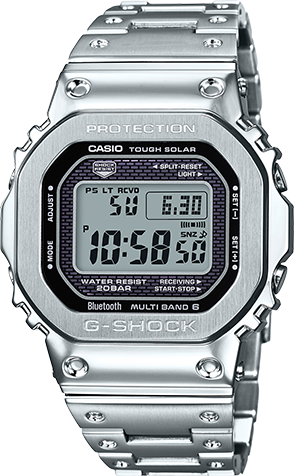 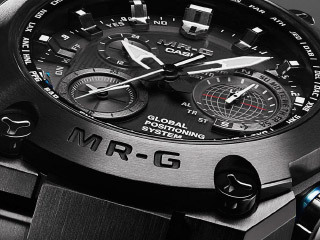 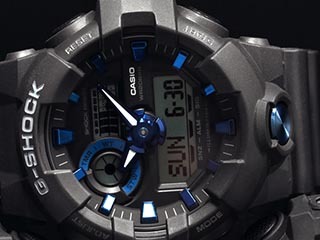 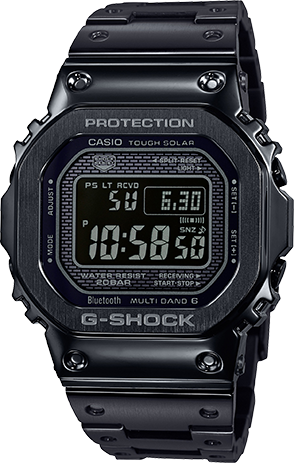 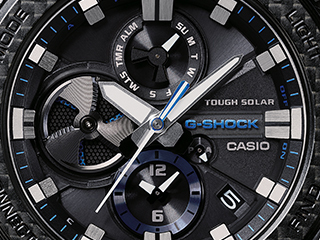 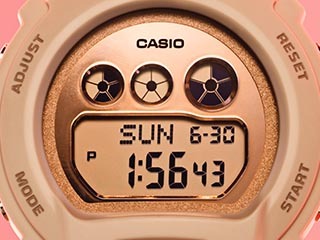 Two-way time sync is made possible via Bluetooth Connectivity and the G-SHOCK app, as well as G-SHOCK’s Multi-Band 6 Atomic Timekeeping technology, which provides accurate timekeeping virtually anywhere via radio signals from up to six different transmitters worldwide.